All parts included in the farmCam IP are available as spare parts, please see the “What is included” section. Extra Night Light (art. 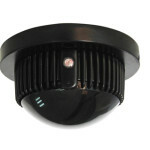 no 230IRL) is a separate IR light which covers 120 m2. 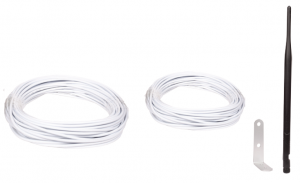 5 dBi antenna with 9 m cable (art. 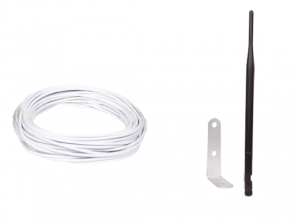 no 5040) is a bigger antenna which can be mounted up to 9 meters from the camera to achieve a better antenna placement in order to avoid signal attenuating objects between the antenna and the router. EU indoor adapter (art. 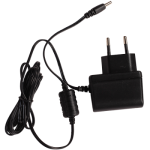 no 6046) is an adapter for indoor use with a CEE 7/16 (Europlug) power plug. UK power adapter (art. 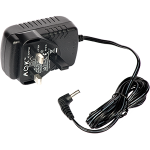 no 6045) is an adapter for outdoor use with a BS 1363 power plug.